HOW MANY TIMES have you got on the bus only to realise you don’t have the exact change? It appears to be common enough, as according to Dublin Bus the average annual unclaimed receipts value is €1.9 million. Figures released by the bus company show that during the recession, people were a lot more savvy about claiming back the money they had overpaid. During the last eight years, there has been a steady rise in the number of passengers reclaiming their change. However, now only one in five people reclaim back their cash. It reached its peak in 2011 and 2012, when 33% claimed back their money owed. This fell to to 25% in 2013 and 2014. Last year, just 18% of customers bothered to claim back their change. Dublin Bus said the Unclaimed Passengers Change Fund is a rolling fund that is retained in order for customers to reclaim their change at any time. There is no expiry date on when customers can reclaim their change tickets. In 2003, Dublin Bus took the initiative to put the unclaimed change to good use by returning it to communities across Dublin. In 2015, 85 voluntary groups received funding under the programme. Poll: Do you reclaim back your change if you’ve overpaid? If you have a few of those change tickets stuffed in your wallet, you can claim back the money by submitting your receipts at Dublin Bus Head Office on 59 Upper O’Connell Street, Dublin 1 (D01RX04). Email “Dublin Bus passengers are less savvy these days about getting their cash back”. 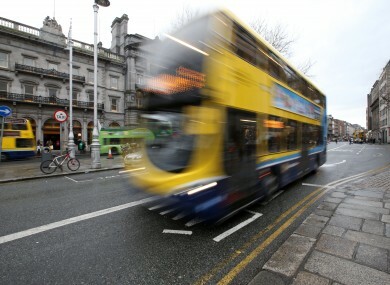 Feedback on “Dublin Bus passengers are less savvy these days about getting their cash back”.